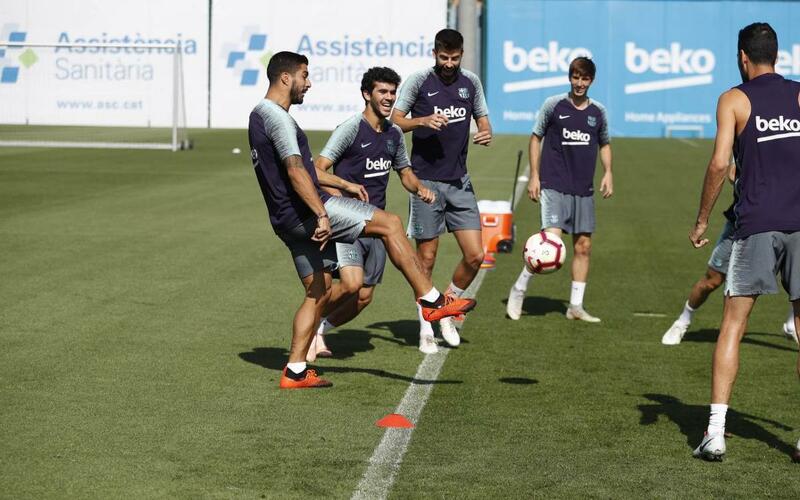 FC Barcelona completed their third training session of the week on the Tito Vilanova pitch of the Ciutat Esportiva Joan Gamper, as they continue preparing for the match this Saturday in Anoeta against Real Sociedad. Ernesto Valverde had Miranda and Collado from Barça B make up the numbers, and he was also able to welcome back Sergio, S. Roberto, I. Rakitic, Vidal and Vermaelen from international duty. Brazilian pair, Coutinho and Arthur, didn’t train with the coach's permission. This Friday, the Blaugrana will undergo their last session of the week, and it will take place after Ernesto Valverde's press conference.